Very friendly and helpful staff. Lindsay and Jim have been great people to deal with! They are professional down to earth people who are very willing to work with you. It was a pleasent experience. So happy we made the 4 hour drive to Kindersley Mainline. It was well worth it. Thank you, Chasity and Ryan for getting us into our new GMC TERRAIN so quickly. 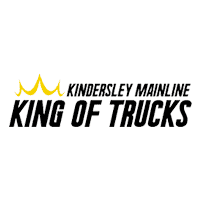 Would definitely recommend checking out the deals offered by Kindersley Mainline Motors. Very friendly and good service.